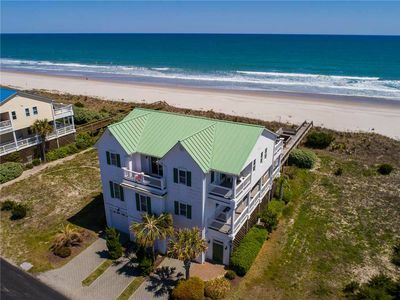 It is truly Sea~Duction at work in this home – sunrises over the Atlantic Ocean welcome you to Topsail Island while you sip your morning brew on the large oceanside deck, multi-hued sunsets abound in the evening on the street side balcony, and a light and bright atmosphere unfolds throughout the interior. 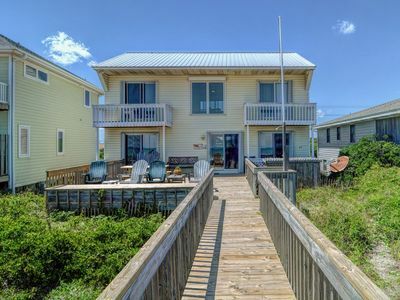 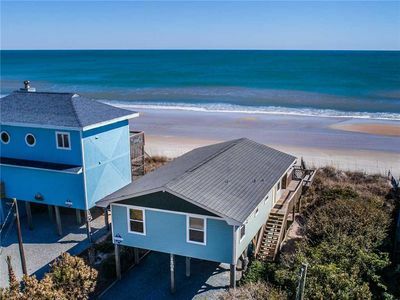 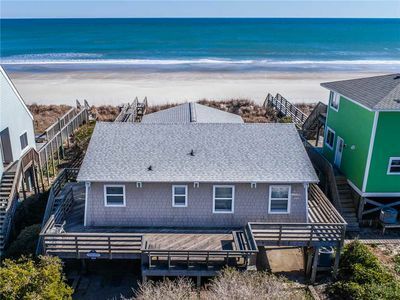 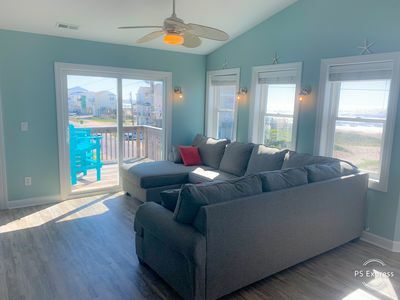 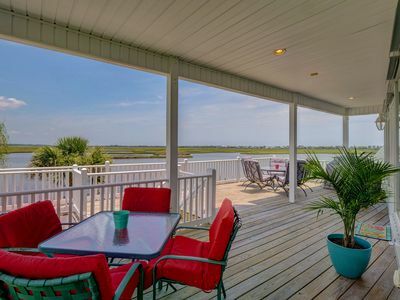 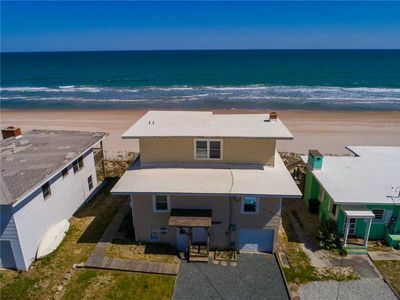 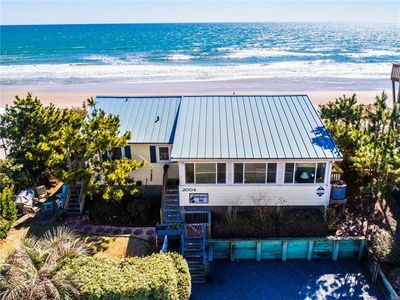 This home will tempt you to resist your worries while you relax in comfort, revitalize your spirit while you enjoy spending time with family, and reminisce about your spectacular vacations in Topsail Beach. 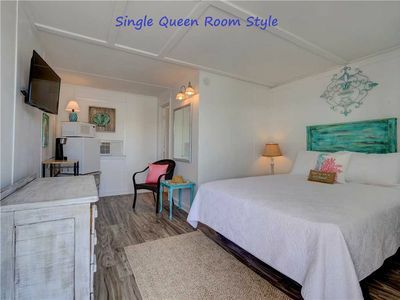 Bed sizes: King, Queen, Queen. 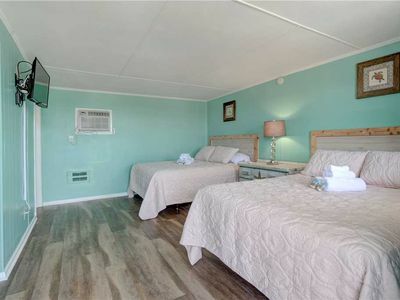 Central heat & air, ceiling fans, interior spiral stairs, dishwasher, washer/dryer, water filtration system. 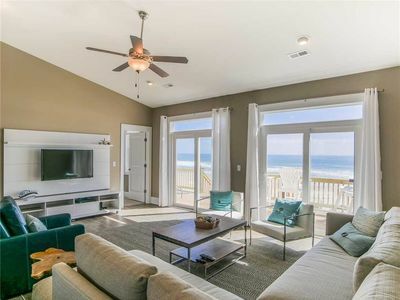 2 satellite TVs, VCR, DVD player, stereo, CD player. 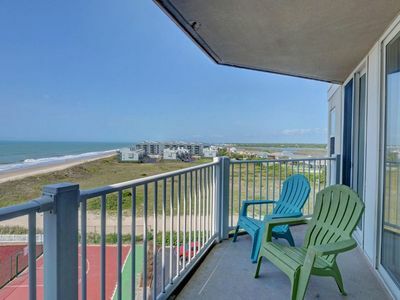 Oceanside sundeck with furniture and rocking chairs, two upper bedrooms on oceanside offer private balconies, streetside balcony with surrounding views. 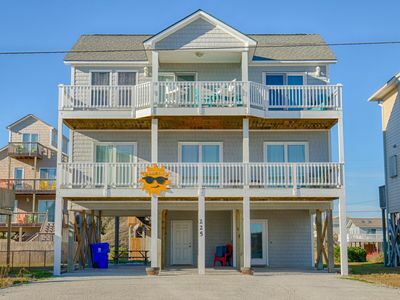 All 3 bedrooms access oceanside deck/balcony areas. 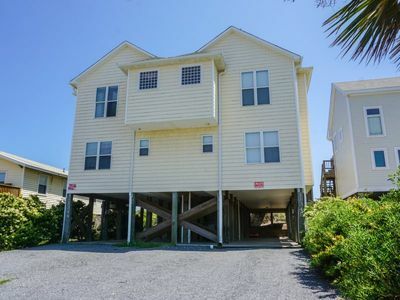 Fireplace and cargo lift not available. 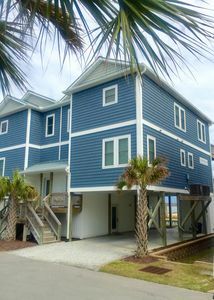 Pierce’s Paradise Second Row Beach Beauty! 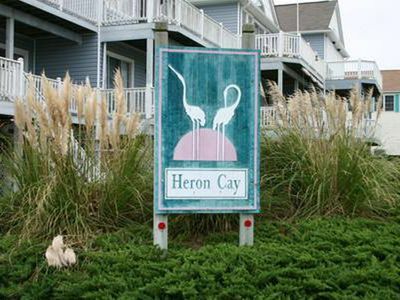 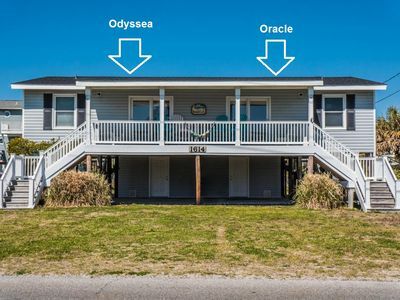 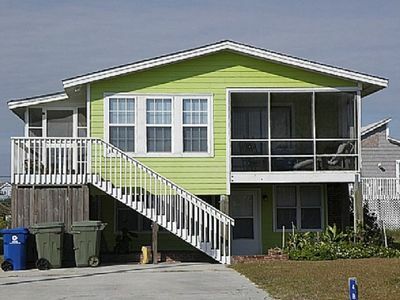 Oracle: 2 BR / 1 BA duplex in Topsail Beach, Sleeps 4 - Dog Friendly! 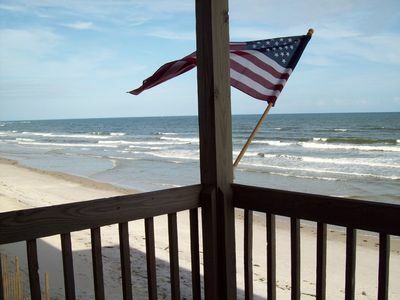 Vacation Paradise! 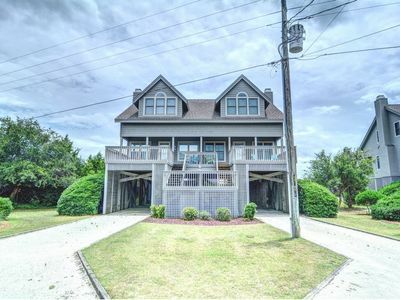 Awesome Waterfront Home, Unbelievable View Of Stump Sound!